Donors make decisions in a blink as they scroll through their social media feeds. Learn how to create an immediate emotional connection with your donors by effectively building your story arc with photos, video and live video. Instantly bring donors into your world and show them the impact of your work first hand without ever leaving the comfort of their home. Make them a part of your mission by embedding them in your story. This is storytelling’s evolution. Josh Hirsch has worked in the nonprofit sector since 2006 with a focus on educational philanthropy for both public charter and independent private schools. He has an extensive background in social media, digital communications, and marketing along with experience in grant research and writing, individual giving, special event planning, stewardship and cultivation of donors. He is past Communications Chair and incoming President-Elect of the Association of Fundraising Professionals Palm Beach County chapter. Josh is also a member of the AFPeeps; the social media vanguard for the AFP International Conference on Fundraising and other AFP initiatives. Josh previously served as the Marketing Chair for the AFP Florida Caucus’ 2014 Planet Philanthropy conference and was the Director of Social Media for TEDxBocaRaton 2015. He has spoken nationally on social media and has had numerous articles published in professional journals. 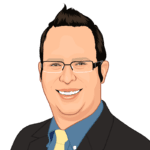 Josh is a Certified Social Media Strategist from the National Institute for Social Media and has a Certificate in Strategic Fundraising and Philanthropy from Bay Path College. He received a Master of Science in Family, Youth and Community Sciences from the University of Florida and received a Bachelor of Science in Advertising from the University of Florida.